Silhouette divides its models into a series of Collections. The best known collection is the Titan Minimal Art Collection, the icon of silhouette, made from a premium quality, refined titanium in a pure design. 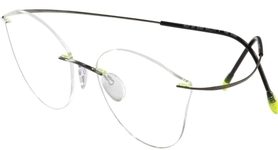 In this collection, the most famous models are the rimless/hingeless Silhouette 7799 (the TMA), and the original Silhouette 5227 model (the TNG). There are many other variations in this collection, but these are by far the most popular and the most famous. The second most popular collection of Silhouette is the newer SPX collection. Whereas the Minimal Art collection features designs in titanium, the SPX collections features styles in a revolutionary plastic material named SPX. 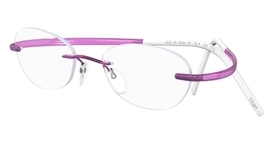 This material offers superior strength and lightness, but in addition it offers a color palette that far exceeds the limited coloring available for any titanium frames. New fashion colors throughout the collection include Blush, Amethyst, Bordeaux and Teal. 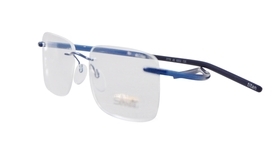 Founded in 1964 by Arnold and Anneliese Schmied in Linz, Austria, Silhouette Optical, a subsidiary of Silhouette International, has long been in the forefront of fashion eyewear. 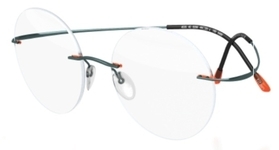 But it was the introduction of Minimal Art in 1992, a rimless titanium frame without hinges, followed by the debut of Titan Minimal art, a screwless, hingeless frame weighing only 1.8 grams debuting in 1999, that changed the course of the company... and the course of rimless eyewear. ? ?Like many major events, the impact of Titan Minimal Art was unplanned and unanticipated. “It was all very simple,” says Arnold Schmied, Silhouette executive director and a son of the founders. 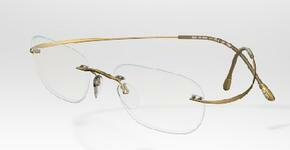 “We had done rimless eyewear before, a collection in 1983, and decided we wanted to do another rimless design. The response we received came as a total surprise to us. Never before in our company history had we had so much positive feedback from our reps, our customers and the end consumers as the result of one eyewear design.